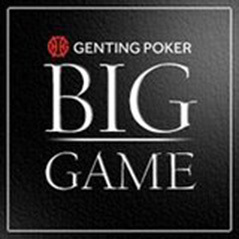 Nik Persaud is the latest name to be added to the list of winners of the Genting Big Game. The former World Heads Up Championship winner worked his way through a field of 37-entrants at the Mint in South Kensington on Monday and ended up walking away £10,000 to the good. The one time Bluff columnist showed just how to massage a short stack into something manageable and then something dominant after a series of timely moves and double ups. The final quartet ended up agreeing a four-way ICM chop with the following making the money. The next major tournament at Bluff Europe's Cardroom @ The Mint is the £400 Main Event on16th March with £20k GTD. The £150 Superstack follows on 28th-31st March with a new Day 1 added on Thursday.